Speaking to a large audience at the 1977 American Academy of Pediatrics meeting, C. Henry Kempe, MD, challenged fellow pediatricians to tackle “another hidden problem.”1 The problem he referred to was child sexual abuse. He urged pediatricians to take on sexual abuse as they had physical abuse over the preceding 2 decades. Kempe was a pediatrician from Denver, Colorado, and a renowned scientist and educator.2 Born in Germany, Kempe immigrated as a teen to the United States to escape Nazi Germany. After playing a leadership role in the worldwide eradication of small pox, he turned his interests to the more insidious problem of child abuse, publishing a landmark article in 1958 that popularized the term the battered child syndrome. Kempe lobbied indefatigably within the profession and at the governmental level to increase awareness of the issue and pass legislation for mandated reporting of child abuse. 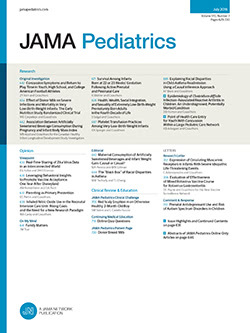 Although he initially emphasized physical abuse, he and other pediatricians saw child sexual abuse as a related problem that urgently needed attention. Kempe's call was a battle cry. The next 15 years witnessed an explosion of interest in child sexual abuse.